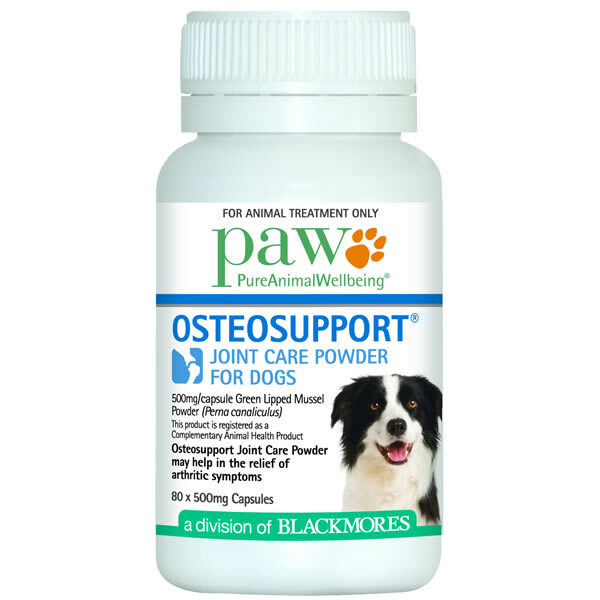 Vet formulated PAW Osteosupport Joint Care Powder is made from highly concentrated green lipped mussel that is clinically proven to provide fast, effective relief from arthritis in dogs. It comes in capsule format which is great for dogs who won't tolerate a powder on their food. You can also easily open the capsules to sprinkle on food as needed. Dogs displaying the clinical signs of arthritis: e.g. lameness, reluctance to rise, reduced mobility. Dogs that are slowing down with age. 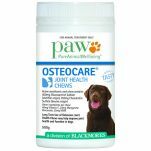 As an adjunctive for medicated pharmaceutical pain relief for dogs. eg. Synergistic activity with NSAIDs, may help to reduce usage over the long term. Read 3 customer reviews of PAW Osteosupport Joint Care Powder For Dogs. The average customer rating is 5. Excellent! My gorgeous is running around again as sprightly as he was as a puppy!! My Sam also likes the taste (but then again, he's a labrador and would love eating the entire tub...) I bought the larger tub because it's more value for money. Very pleased!! Been using this for my now 18yo cat for a few years. Cat and dog capsules are the same product, the dog capsules come in bigger bottles so I have to order less often. Open the capsule and sprinkle on her dry food daily. Easy! Was recommended the product by a vet and very happy with it. I recommend to all my friends with elderly furbabies. Absolutely amazing results!! My crippled senior companion is jumping around like a new pup again!